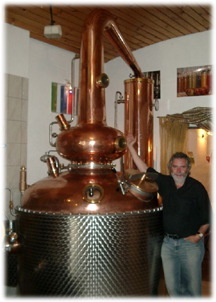 CARL Distilleries are the finest copper pot stills, truly custom-built for you by Germany's oldest fabricator, electrically or steam heated, from a small 50 liter fully-featured pilot pot still systems up to 12,000 liter copper stills. 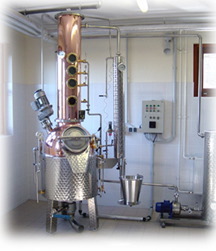 CARL Artisan Distilleries are fabricated to any distilling style, tradition and capacity you require. Our systems can be fitted to various degrees of operational sophistication, from manual to complete touch-screen automation. Our long-standing expertise in the fabrication of mashing and fermentation technology allows us to provide you with complete CARL turn-key solutions for any breadth of scope and at any capacity scale.